We had so much fun creating the invitation suite. programs, and menus for this fun citrus themed styled photo shoot. We hand painted citrus slices and bright florals in watercolor, and paired the watercolor elements with a whimsical font and bright orange envelopes. 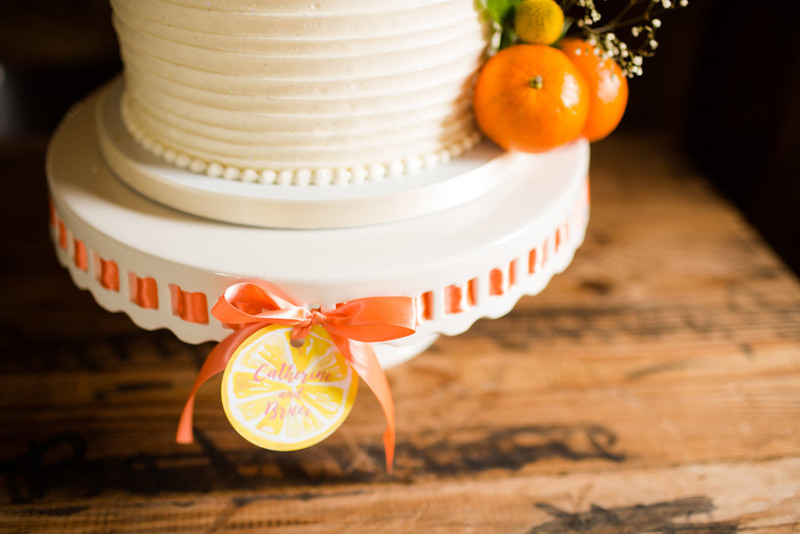 The suite is tied together with a circular citrus tag that is also used to accent the cake stand. The beautiful bright florals and the rustic barn venue are perfect for a summer wedding. This styled shoot was feature on Baltimore Bride.